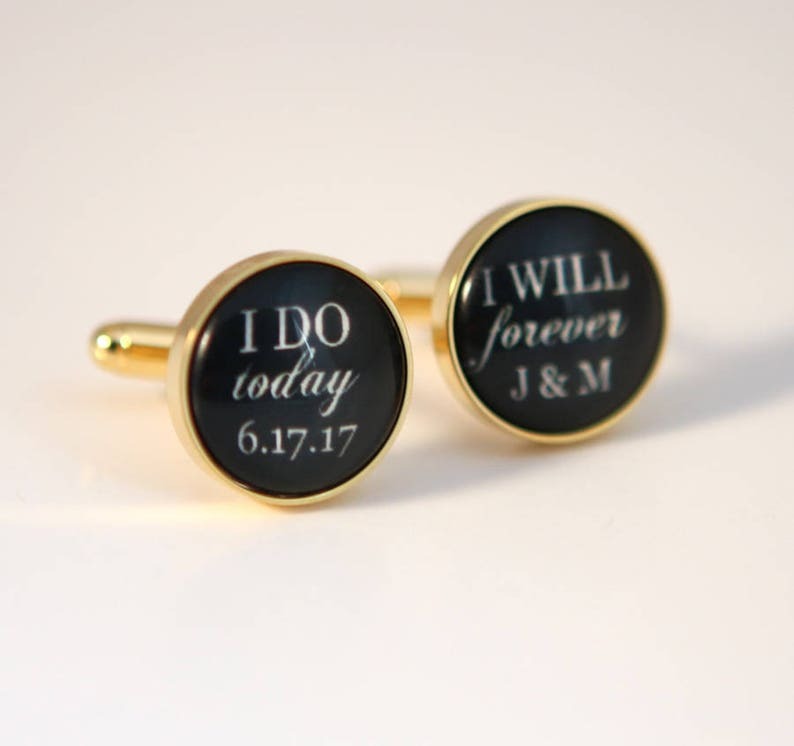 Custom Personalized Cufflinks - Custom Quote Wedding Date in black background or Custom Colors of your choice - I do today I will forever. 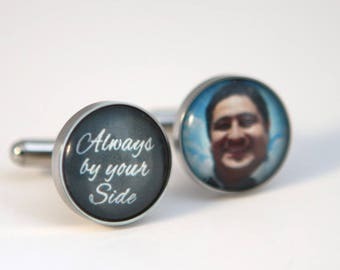 Perfect wedding gift for Groom from bride at wedding date! They are perfect I love them and my son will love them too. I’ll be ordering another pair for my other son as soon as we get a wedding date set.